and often get much of it wrong. when an angel gatecrashes their sky. Written to follow the reading of the story of the shepherds and angels in Luke 2, 8-20 as part of A Christmas commentary for the carol service at St Johns Church, West Ealing in 2012. In 2013 I expanded this into a much longer piece, Gabriel's revelation, which contains the original four verses. Modus operandi is a Latin phrase meaning "way of working". 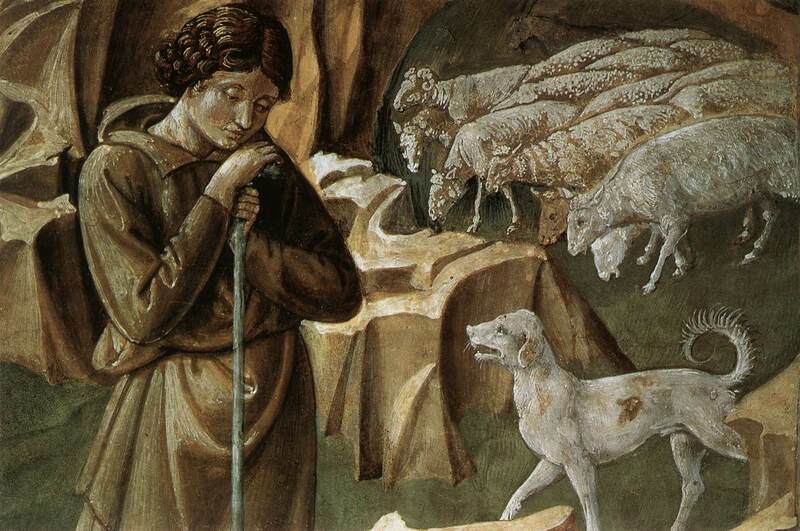 I have heard from various sources that shepherds were a target of humour at the time of Jesus, and so his illustrations of the lost sheep and the good shepherd would have carried an additional edge to a contemporary audience ("Stupid shepherd, leaving 99 sheep unguarded so he can rescue one lost one...") . I've no idea whether this is true or not.